Our emphasis is on you having fun with your dog whilst training! Most dogs were originally bred for a purpose, whether it be hunting, herding, guarding, pest control, etc. However, as a result of modern day life, their natural instincts and abilities are mainly redundant which can lead to boredom for the dog. Our Dog Training School aims to help all dogs by providing a range of mental and physical stimulation that you can enjoy with your dog. 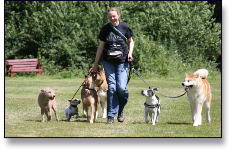 As well as helping you to train your dog to walk nicely on the lead and calling your dog to you, we offer variety in the form of heelwork, recall, retrieve, scent discrimination, along with fun fitness for dogs and their owners. We also include agility and UK Rally, which is Britain’s newest dog sport. Our class numbers are kept low to give you and your dog individual attention and have recently added additional classes to enable more dogs to join the fun! You may also like to join us in an After Training Walk (ATW) to put your training into place in the real world. It also gives the dogs a chance to learn how to interact with and respect each other. 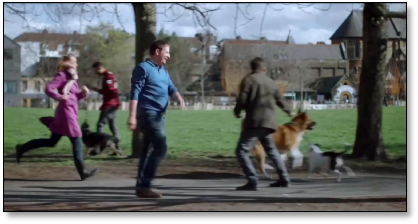 The walk is a social gathering with each owner being responsible for their own dog. The ATW is only an option during daylight hours. I enjoy living and walking with multiple, well behaved dogs and am constantly looking to expand my own knowledge so that I can help others. I am able to offer home visits in the Orpington area to work on any problems you are having away from class training – home visits generally last one and a half to two hours, the cost of which is £40.00. to view these dogs at work.